Directions (Q. Nos. 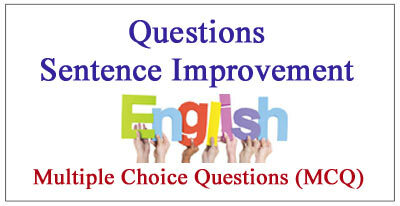 1-20) : The following questions, there is a sentence of which some parts have been jumbled up. You are required to rearrange these parts which are labelled P, Q, R and S, to produce the correct sentence. Choose the correct sequence and mark in your answer sheet accordingly.